What are the key initiatives that you are driving within Sydney Motorway Corporation at present? In terms of IT, the separation Of Sydney Motorway Corporation (SMC) from the Roads and Maritime Services and Transport for NSW (RMS/TfNSW) as a result of privatisation of the SMC has been a major focus for us over the last year. What was the timeframe given to you to achieve this? The first request to start thinking about separation was been made some time back in April 2015. In early May 2015, this was followed by a formal request to prepare the separation approach. The first draft was presented to the IT SC at the end of May 2015. Discussions into the separation and its implications for all departments continued through June and July. The proposed approach has been approved by the IT SC and the CEO and the Request For Proposal (RFP) Development (including bespoke contract for end-to-end delivery of IT “as-a-service”) has begun. The RFP was finalised mid-September 2015 and went to the market at the end of September 2015 with a respondents offered 4 weeks to prepare and provide their submissions. Some vendors involved asked for an extension (that has been granted) and all responses were received by the middle of week 5. RFP evaluation (including clarifications/presentations/reference checks) were finalised mid-December 2015. The Board approval to go ahead was obtained at a Board Meeting in early February 2016 and the contract with the preferred vendor was signed in late February of this year. In the meantime, our head office was been moved to the new premises in January 2016 which further complicated the project in the short term. Actual transition into the mode of operation started in May 2016 with a small-scale pilot – transition of a small satellite office with 5 users. Successful transition of the first satellite office enabled us to transition on the following weekend the next – much larger – satellite office with 25 users and part of another satellite office. The following weekend head office was successfully transitioned, as well as, the other half of the satellite office partially transitioned a week earlier – all in all about 200 users. This also coincided with transition of Objective from the RMS instance onto externally hosted instance offered in “software as-a-service” mode. Remaining two site offices are to be transitioned within the next 3 weeks. As a result, our managed print service were transitioned to the new contract (with the same vendor) which resulted in a 19% cost savings. Furthermore, the new VoIP charging plan achieved over 50% further savings. So what is your department&apos;s focus for the next 1-3 years? The WestConnex project is our major focus and is being developed and procured by the NSW Government. Sydney Motorway Corporation is focussing on a very aggressive timeline for the delivery of the WestConnex projects. These include the widening of the M4, development of M4 East, the new M5 and finally the M4-M5 Link which is all very important for citizens who use the roads given the population growth. How is technology enabling you to achieve the project and what are the benefits? The projects are heavily dependent upon reliable and high quality IT infrastructure and business systems. As such, our focus is on improved IT service delivery, continual match of emerging business needs by appropriate IT capability and maintaining costs within the budget through best deals and demand management/behaviour driving. Transition of IT services from (RMS/TfNSW) to an outsourced as-a-service delivery model resulted in simplification, improved quality of IT service delivery (including time to market), reduced cost and better responsiveness are just some of the benefits we are hoping to achieve through this project. 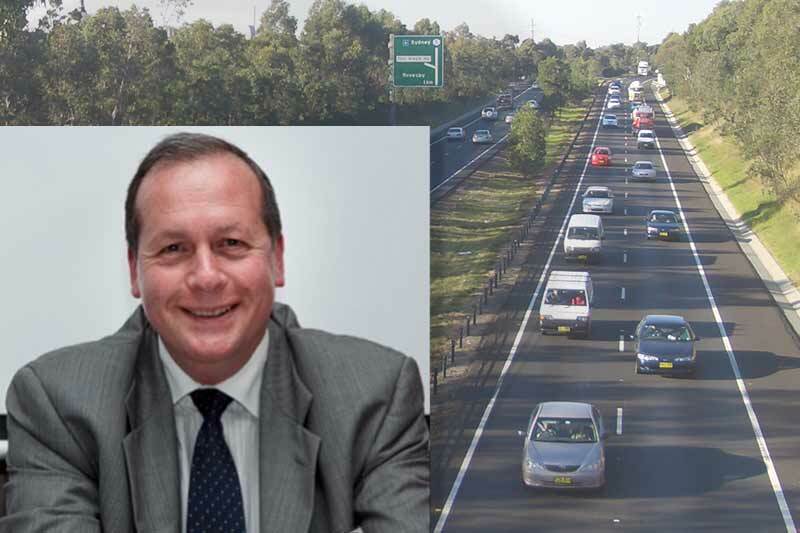 While there are no direct impacts on the citizens of Western Sydney through the separation of IT, there is however an indirect benefit through better IT which will enable faster, cheaper delivery of WestConnex and also assisting in risk management through accurate, timely and complete reporting. So how is the IT transition project tracking? As far as I know we are the first agency to embark on a project of this nature. We are on track to complete by July 1st and on budget. This is a great result and we have achieved substantial savings and overall numbers are better than current industry benchmarks. What are your thoughts on innovation and the future direction of technology? Well that’s a very long topic. A lot of people are still talking about cloud. However to me, that’s so yesterday. No, cloud is great for developing/testing, but the real game changer is as-a-service delivery model focused on the business outcomes. Will you ever engage with a debate with your tradesman about pros and cons of Makita power tools vs. DeWalt power tools? I guess the answer is no, unless you are killing time over a beer – all you are interested in is the outcome – cost, quality, timeliness, warranty, etc. The same is rapidly becoming true in IT. When a vendor asks me do I want this or that VoIP solution – my answer is – I don’t care: I want the outcomes (features, cost, quality, provisioning time, response/restoration time, security, etc.). This is (sorry for a cliché) a very dramatic paradigm shift! What about Innovation in Government? There is a need to find a way to fund these smaller chunks. And – there is a need to learn how to cut your losses short and kill failing initiatives – “black swans”, or initiatives that become unnecessary as a result of an external change – technology, business model, regulation, personnel, etc.